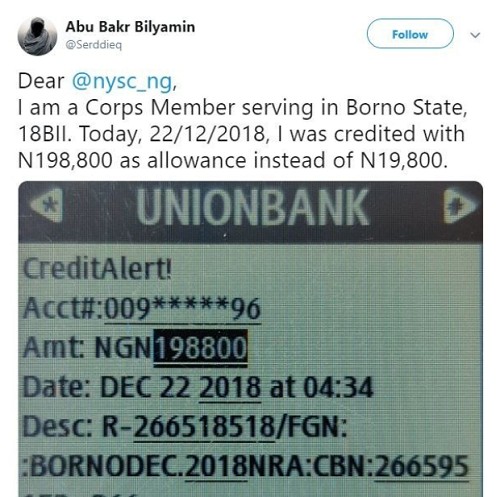 A corps member in Borno State who was mistakenly credited N198,000 instead of the usual N19,800 has reported himself to NYSC saying they made a gross mistake. Hmm, better boy! Lol, an average Nigerian won't do this lol. Good boy! » Unemployed Nigerian Graduates to Earn N19,800 Monthly. 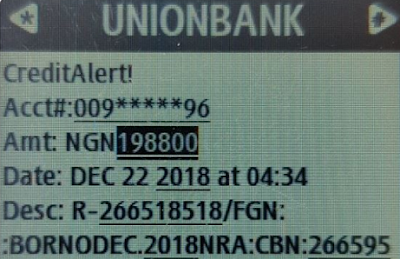 » "I Paid N30k For My Passport Instead Of N19,500, Yet They Still Made Mistakes!"